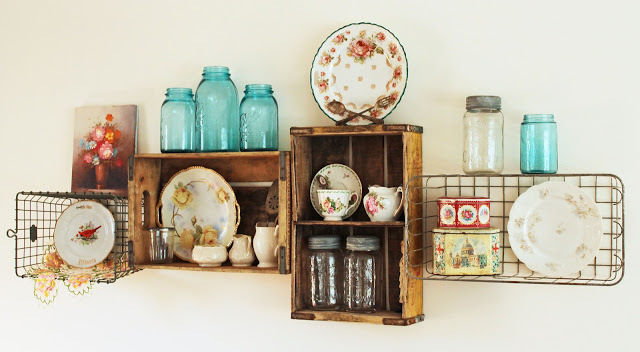 These quirky decorative shelving projects will enliven any room. Everyone can use a little extra storage space, no matter how organized and tidy your home is. When closets become packed and bookcases get cluttered, shelving can provide a little extra wiggle room. 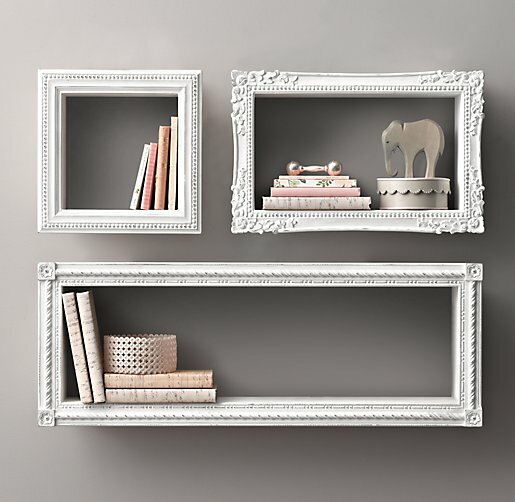 Not only that, but shelves can also serve as beautiful decorative elements in their own right. From rustic pieces of driftwood to repurposed wicker baskets, decorative shelving is easy to install, and instantly enhances any room. 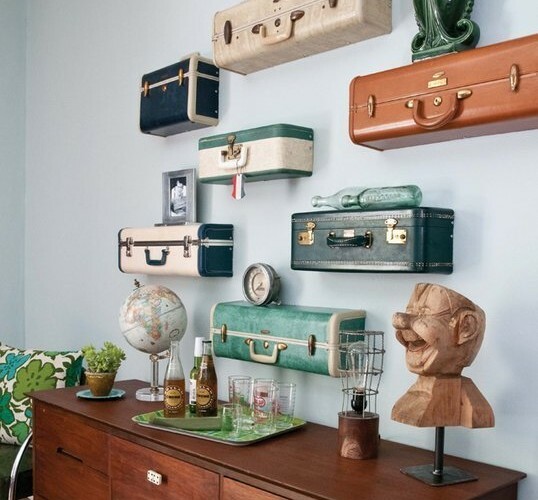 Here are five of our favorite examples of how to decorate with quirky, unexpected shelving. Which one suits your home’s style? Natural shelving is a wide category that can include unfinished wooden planks, driftwood, and even tree branches. 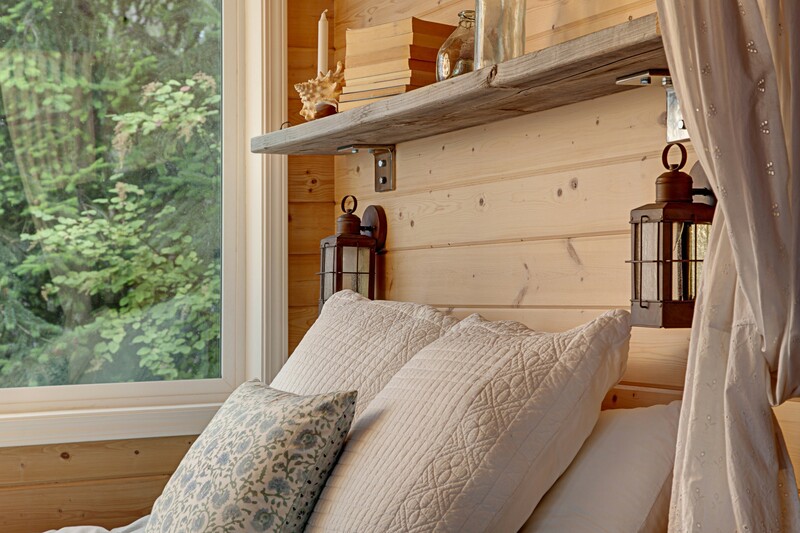 These type of shelves would be great for a woodsy-themed guest room, a vacation home by the lake, or anyone who wants to give a room a sophisticated, earthy touch. These fun shapely shelves can help break up harsh lines in a room. 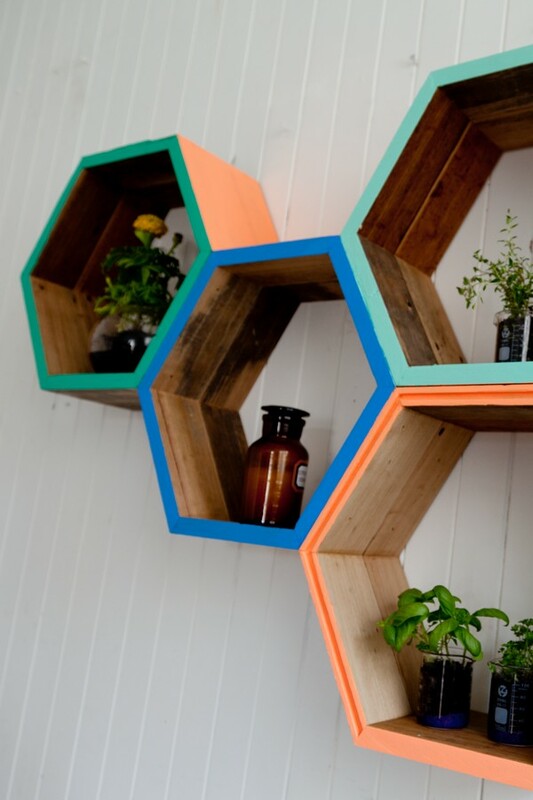 Triangles, hexagons and circle shelves not only add interest, but all three are great shapes for displaying knick-knacks or photos. Leave them uncolored, or choose a bold solid color to spice up a neutral space. Shelving doesn’t have to be big and bold, and sometimes subtle is the way to go. Repurpose antique photo frames or polish up vintage corbels to add a dainty decorative element. It’s no secret that breathing new life into old crates or wooden boxes is a great way to save cash. It’s also a great way to add a rustic touch to any room. These crates were used as kitchen shelving, but they can also be hung in larger living spaces to create a more intimate feel. For those who prefer something a little more unconventional, all kinds of everyday objects can be made into unique shelves. 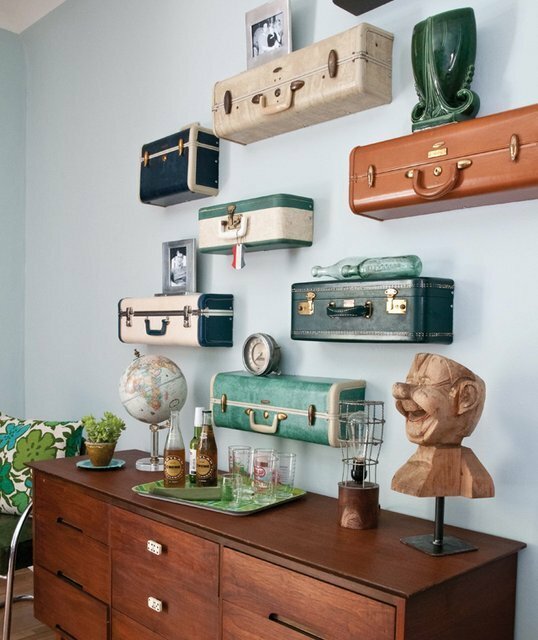 Old skateboards or snowboards, hardcover vintage books and even old suitcases, like the ones seen in the photo, can make for shelves that also double as statement pieces. What do you think? Do shelves make good décor, or should they stick to storage only? Kirsten is a journalist and content creator based in Seattle, Wash. She used to ghost-write for handmade soap/DIY blog and has a passion for all things Scandinavian. Connect with Kirsten on her blog, KirstenAOBrien.com.